Yes, she’s back, and better than ever! Zola Nene has become quite a force on the South African culinary scene, yet her personal quest to show people that cooking great food needn’t be pretentious or difficult continues in her new book. 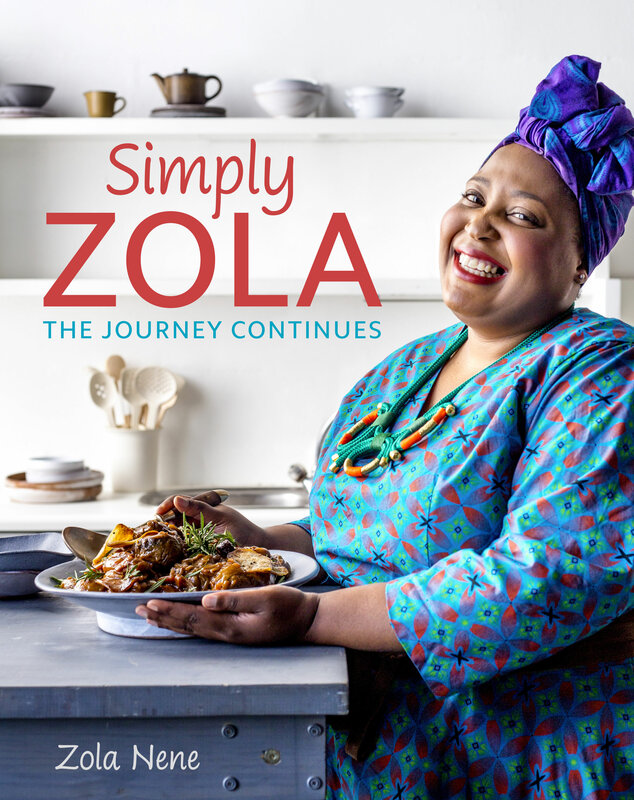 Simply Delicious was a triumph and now, as Zola says herself, ‘My food journey is ever evolving and is a continuation of my life journey told through food,’ and so Simply Zola is the mouth-watering result. The dishes (and drinks) are simple to prepare and each is a taste sensation. Zola doesn’t do bland or shy, so prepare to be swept away by the likes of Barley, grape and pecan nut salad, Prawn, lemon and chilli linguini, Cola-braised beef short ribs, and Rocky road waffles with salted caramel sauce. For those of you always complaining that it’s impossible to cook properly for one, there’s a chapter devoted just to that, while the lazy among you will be cheered by a chapter of one-pot dishes. There’s even a chapter for those who want taste without the gluten. Zola Nene is currently the resident chef on Expresso Morning Show on television's SABC 3 channel. During a two-year stint in the UK, she worked as a commis entremetier, chef de partie and patissier in a brasserie in Cheshire. She returned to South Africa and enrolled at the Institute of Culinary Arts in Stellenbosch where she worked with chefs such as Margot Janse of LQF and Chris Erasmus of Pierneef at la Motte. After graduating she was appointed catering manager for a large catering company in Johannesburg. Around this time Expresso was conceptualised and she was offered the job of foodstylist for the show. She returned to Cape Town to start working on the show in October 2010 and has been there ever since.